The association that works for you. With education certification that gives you a measurable competitive advantage, a discounted insurance program, networking events, and opportunities to be a part of a legislative effort that is forever changing the professional snow contractor industry, your ASCA membership never stops working for you. The ASCA has developed written industry standards based upon the ANSI Approved National Standards and developed an education program that help companies correctly document their work, improve their operations and reduce risk for our members. Our education certification gives you a strong competitive advantage in the competitive snow removal industry and positions you as reliable, professional and trustworthy. The rising cost of insurance is one of the top concerns of most snow plow contractors. ASCA gives you access to insurance programs that offer exclusive discounts to ASCA member companies. Poorly written laws throughout the U.S. and Canada continue to drive insurance rates up and create imbalance, unfair competitive practices, and safety issues for our industry. The ASCA is working at both the state and federal level to change these laws to protect the snow contractor. Our efforts directly result in lower insurance costs and a reduction of the number of slip-and-fall lawsuits you are unfairly exposed to. This means more money in your pocket. 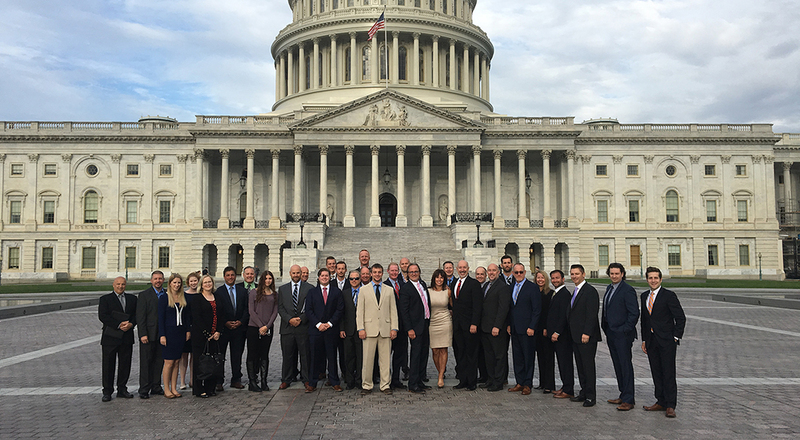 Our legislative success depends on the backing of our members. Join us and together we can change the industry! The ASCA educates professionals in print and online, but also through a variety of face-to-face educational events. From our Snow Academy, to Executive Summit, to Snow and Ice Show, we bring contractors together for networking, peer learning and business discussion.